S@ilaja Apr 03 2019 8:13 am I jus love her boyish(looks) Personality..Soo cool in WfKBJ..and something in the rain too.. Would like to see u in more dramas... Love from India..
Malebertha Feb 11 2019 1:36 am She's so pretty cool. Wish I could see her in some dramas again. Cat Dec 31 2018 4:10 pm So pretty! I really like her in weightlifting fairy Kim bokjoo. I hope I see ore of her soon. Unnie, fighting! myxblush Oct 21 2018 1:07 pm This actress is bomb! Love her! She is super quirky cute and funny in the ghost detective. MizzJ Oct 10 2018 2:53 am sometimes u looks like dahyun twice.. i like u since weightlifting fairy kim bok joo ? sunnyy Sep 21 2018 11:25 pm Yes she looks like Choi Ara from Age of Youth 2! I thought she and song jiwon (age of youth) are acting in one drama again lol. 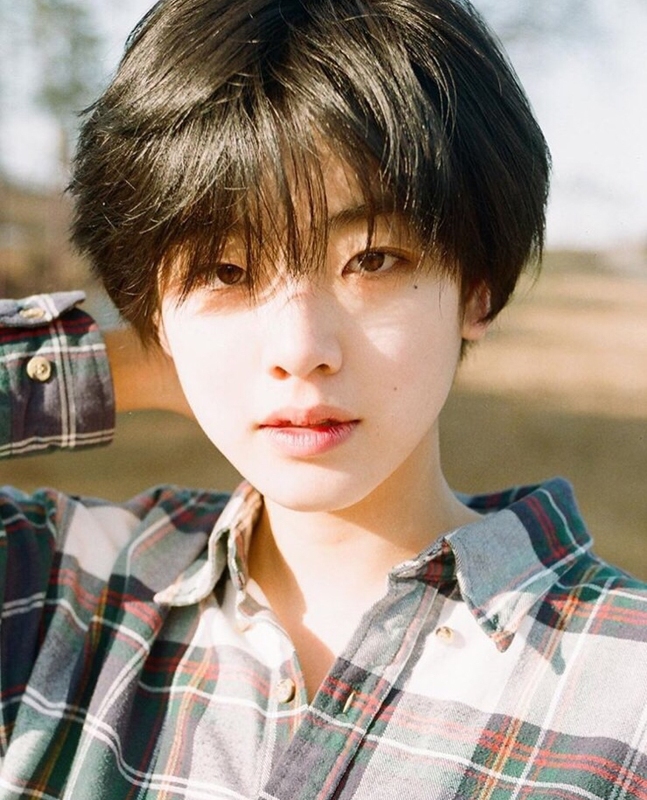 Btw she with short hair is so charming. The ghost detective drama makes me become her fan! Moomoolicious May 19 2018 12:17 pm OMG she look like Dahyun + Jeongeon Twice. Fall in love with her at first sight lol. Her deep voice tho ? Nux Apr 22 2018 2:55 am Good acting in WFKBJ and I had to look twice in Something in the rain to confirm it was her. Completely different with long hair. Zeel Apr 11 2018 7:10 am Lee joo young is really beautiful, and from her works that I have watched She has very lovely personality? Iam in love with her? Julia Dec 31 2017 9:36 pm I really love Seon Ok... She's was the the prettiest of the three girls and I love her voice too... ??? Cedrick F. dela Rosa Aug 28 2017 3:09 am Heyy ! The First Time I Saw You in the Weightlifting Fairy I already fell something strange. You became my crush. I am more excited to the scenes that features you. Hahaa. I hope to meet you. Simple Fan Here ?? Eloy Aug 13 2017 1:54 am My biggest crush right now..i love u.. more project to come.. ??? jo Jun 10 2017 10:42 pm Lee Joo Young is my woman crush she's so pretty and I love her personality and short hair!! Hope to see her other dramas? Allysa Bautista May 30 2017 8:52 am First time I saw her on Weightlifting Fairy Kim Bok Joo, my first reaction to her was "damn this girl is so gorge and cool." I love the way she acts, really. Seriously, she's so talented. Looking forward too see her in new drama series. I can say that I'm really number one fan of her here in my country, Philippines. You're also my hair inspiration that's why I did cut my hair short and yeah I love the result though. Komowa! Hihi. Annyeong Unnie, Saranghae! Bogoshipyeo. Stay cool and kind, arasso? I do love your dogs too like mine. Well, more movies and drama series to come Unnie! Jalkayeo, Josim. Saranghae! Puti uri uri. (not sure if my Korean language is correct spelling in English it means that Goodbye, Take care. I love you! Please live a long and happy life.) God bless. Anonim May 23 2017 10:38 am I love her. She's so pretty and a great actrices. She was so cool in Weightlifting Fairy Kim Bok Joo. I hope to see her more in many dramas. MinSwaeg_09 May 01 2017 4:41 am I really admire Lee Jong Young because of her great personality especially in Weightlifting Fairy Kim Bok Joo. She's really cool and pretty and... She's very cool! Hev Apr 19 2017 11:57 pm AHHHH yess I can't wait for this she's so pretty and cool and seriously talented I love her so much!!! Dannica Dailo Mar 20 2017 11:11 pm I love Lee Joo-Young ? She is the reason why I watched KDrama? Nicole Mar 13 2017 9:51 am She's amazing, beautiful, talented. I already fell from first sight, and her acting is spot on. You wouldn't even label her as a rookie, let alone think her as. And her style and looks are CAPTIVATING, the uniqueness; I mean, I've seen Amber once but they are both different in special and wonderful ways. A face like hers can definitely top you on the modelling industry, right? And I want to keep blabbing how pretty she looks but I'm not immortal. Lee Min Ho's wife Mar 08 2017 7:17 am I love her! Looking forward in watching her as a lead in other drama! Lady Mar 01 2017 1:54 am She's good! I so love her, I cry. I hope to see her in other dramas as the lead with leading men like joong ki, bo gum, and minho! Love you, Girl!! edelyn tagdulang Feb 25 2017 8:57 am She is amber's look a like from fx band whoooaaa iloveher acting skills in Weightlifting fairy i wish she can have a drama series whom she is the leading role ??? Crys Feb 21 2017 10:48 pm She was so great in wfkbj... She was adorable and I thought she was Amber from f(x) in the beginning she's a great actress! Wishing best for her! Joyanesa Cabor Feb 21 2017 3:45 am My favorite supporting Actress. Tinodul Feb 18 2017 11:59 pm She is a good actress! !! Jessica Feb 17 2017 12:41 pm She is my favorite in WFKB! I love to see her to be the main lead in her next show/series/movies! She's really good. She is so beautiful even without makeup and got a great vibe, she defines a women that you can still be attractive/attention getter/head turner/gorgeous even though your not a girly girl type. I want to see her more to take different roles in the future and to be a main lead next time!!! Her smile is so contagious. I just love her!!! Wow Feb 11 2017 2:48 am idk i had a weird attraction to her when i saw her in wfkbj... she's so pretty and unique in her own way. and i love her smile. just. love. it.i she acts tomboyish but still remains girlish in ways. omg i love her. she's just so gorgeous and her personality is perfect. Lana Feb 10 2017 1:44 am If Lee min ho had a twin sister, it would be her. jojojo Jan 24 2017 1:06 am she is so beautiful!!! Liam Estrada Jan 23 2017 4:02 pm Dunno why but I was so starstruck when i first watch her at WFKBJ. She has something that i cant take off my eyes on her. She's pretty in her own way. And I want to see her more in drama series. I like the way how she acts as a boyish. It looks her more amazing and pretty. When did it come that she will be the lead? Well, im still looking for it. Fighting pretty Lee Joo Young! Vi Jan 22 2017 9:00 am She has beautiful face. Hope to see you being the maun cast!! Fighting! Emilene07 Jan 20 2017 6:10 am She's so pretty! I wish to see her with a lead role! Happy Virus Jan 15 2017 11:37 pm SHE IS SOO CUTE!!! >_< I hope i get to see more of her in the future and not a side character but a main lead. LEE JOO YOUNG FIGHTING!!!!!! Ayu99 Jan 15 2017 11:31 am really love to hear her voice!! Viv Jan 15 2017 6:30 am I really like her eyes. She's simple yet pretty. Hope to see more of her in the future. chloe Jan 14 2017 6:18 pm i honestly thought she was Amber from f(x) at first! she's beautiful and such an amazing actress! should definitely get more recognition! Cholo Jan 12 2017 1:16 pm She actually has the potential to become a great actress... I'll keep her name in mind!! skyy Jan 11 2017 10:53 pm she looks like twice Jeongyeon . aliaa Jan 11 2017 11:13 am Among them 3 in WFKBJ, I attracted towards her more . Pls make her more popular . Rey Jan 10 2017 3:58 am Wah, she's litteraly my personal role model! I like u! Name (required) Jan 07 2017 4:22 am OMG SHE'S SO PRETTY while I was watching this, I couldn't take my eyes off of her :):):) ? Ariana Jan 04 2017 8:36 pm I've seen her work as a model before already! It's nice to see her acting too! Wow, I'm honestly surprised. She's full of talent like Kim Sung-kyung. CAA Jan 04 2017 3:58 am She definitely caught my attention in Weightlifting Kim Bok Joo. With her short hair, and her strong voice, she was one of my favorites!!!! And she's so pretty too! ^^ leading role pls? Livia Jan 01 2017 9:57 pm I want to see her in main roles, in weightlifting drama, I seriously thought she was the main person, but it turned out to be the tall girl, I wish to see her more in the future! kdramaaddict Dec 31 2016 7:51 pm honestly thought she was amber then i thought she was jeongyeon from twice lol. but anyways i may be a girl but i find her so attractive! love her acting, wish to see more!!! cami Dec 26 2016 5:30 pm I honestly thought she was Amber when I first saw her in Weightlifting Fairy Kim Bok Joo! Love her acting, she's too cute! Harambe Dec 24 2016 7:07 pm Why does she look like Jeongyeon from twice ?? paulinekilla Dec 16 2016 3:52 pm i love her, is so hot .. .
HEOL Dec 15 2016 11:47 pm I really like her in weighlifting fairy kim bok joo. She was so cool!! How old is she?? Pratyusha Dec 14 2016 10:09 am She resembles amber a lot!!! Mei Dec 02 2016 5:14 pm I was wondering where I saw her when watching Wightlifting... she's the girl from Wish Tree! okjek Nov 29 2016 10:41 am She look like jungyeon+dahyun from twice. I first saw her in Red Velvet's Wish Tree . Natalia Nov 28 2016 12:10 am She's pretty,I'm in love with her. Jamie Nov 25 2016 8:16 am I always thought she looked like Jungyeon from Twice.. oml..
Yochann Nov 24 2016 10:21 pm She's gorgeous!! I think I'm in love with her! I need to see her in more dramas, please!!! AJ Nov 24 2016 12:05 am first time watching in weightlifting and she's really pretty!!! berceuse Nov 22 2016 4:50 am I love everything about her. Her voice, her hair, her skin, her acting. Siaaaa @Dien Thank you for sharing! amsque Nov 20 2016 3:26 pm I'm watching her in the first ep of weightlifting fairy and she's so gorgeous omg!!! Dien Nov 18 2016 1:18 am love u!